ive been meening to upload for a while, lately i havnt been doing alot with the car. 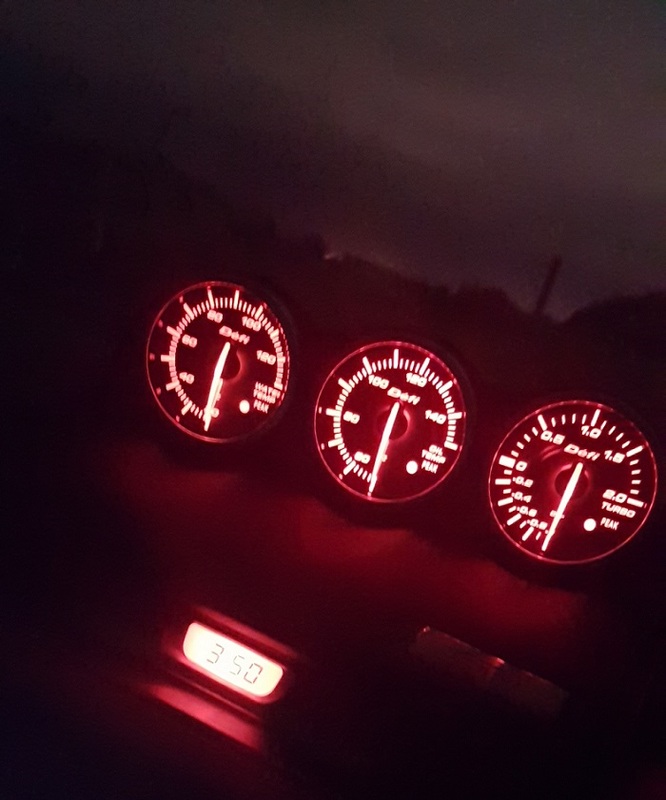 ive changed a few interior lights just because i like the look and it will go nicely when i install a backlit sti cluster...one day. So far i have changed the clock colour and key surround, i also want to change the back light colour of my ac controls so they all match. i think it makes the car feel abit newer in my opinion as the green is abit boring. How does one go about changing the backlight colours of the factory buttons & dashboard? today i did my engine and trans oils. my main concern was the leaky trans drain plug which needed to be replaced. i am yet to do the rear diff aswell, this will be done before the car goes on the road. after all oils are done i need to fix my powersteering issue and then attack the motor. 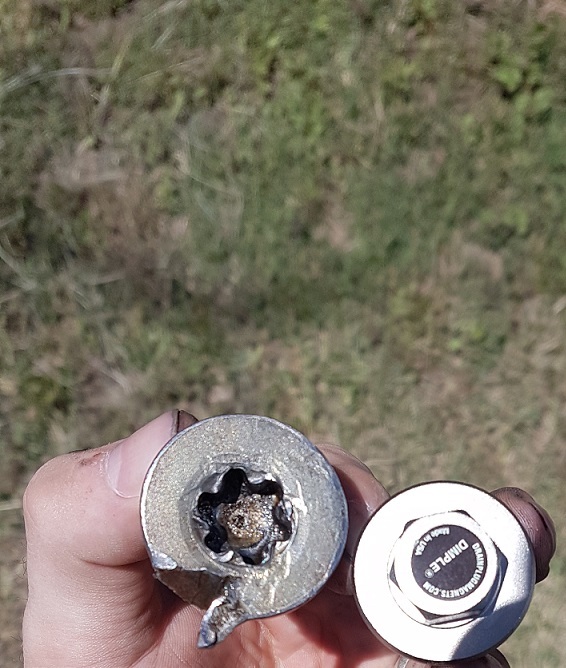 heres a photo of the drain plug i removed along side of the new plug i replaced it with. if you havnt seen or heard of dimple magnetic drain plugs i highly recomend you go check them out. great product! for the key surround its as simple as changing a globe. the factory globe is a little hallogen with a green shieth over the top to give it the green tinge. 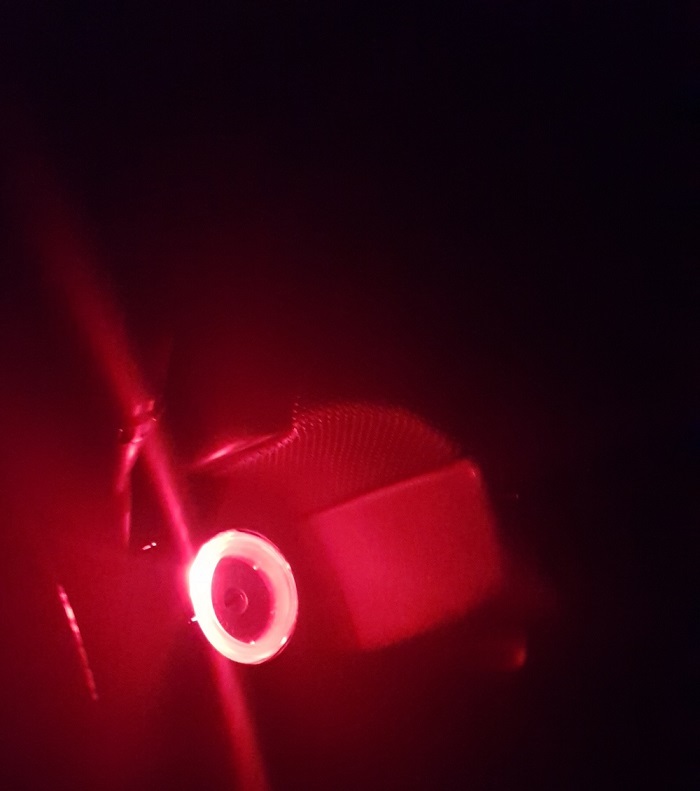 i couldnt find a red shieth to put on the hallogen so i swapped the hallogen out for a red led. the led globe needed to be filed down to fit and make the light disperse more evenly through the plastic key surroind. for the clock in the dash it can be a little bit more difficult, you need to take the clock out and apart to reveal the display, then you gently peel the face of the display back to reveal the inside. (between the circuit board and display) some models have a globe under the display which you can swap and others dont. mine didnt have a globe but did have a green film on the back of the display which makes it illuminate green. if you take the film out it will glow white. i put a red film behind mine because it didnt have a globe and that was job done. for the ac controls, (im yet to do) you need to buy red surface mount led's and swap from the existing. obviously you need to take the ac controls apart to get to the circuit board. thats the easy part. changing the SM LED's can be easier said than done. iv heard it can be a pain but definently worth it. power steering issue is all fixed. i replaced the O ring under the high preasure line leading towards the engine and bled the system. now my attention is going towards some vacuum lines and a cv boot that need replacing. should have some photos up soonish. So today i got some goodies for the foz, purchased some injector dynamics 1000cc injectors from a mate, wont be going in for a while as the car is now officially a project car. hoping to have all the tasteful mods ready for after i get my full lisence. meanwhile i have been replacing some of the vacuum lines, re-routing and deleted the purge valve as it complicates things.